Cool things to do with a Humax HDR-FOX T2 | Blog My Wiki! I set it to 1080p video output via the supplied HDMI cable on our Sony Bravia Freeview HD TV. The picture quality is stunning, even on non-HD Freeview channels. I connected the box to the my broadband modem / router by ethernet to enable the BBC iPlayer – this also got the Humax box on my home network. It has a built-in FTP server – you can turn this on under the internet settings menu. Transferring files ON to the Humax is much easier by FTP than mucking around with USB sticks (though USB sticks are needed to get recordings off the box). If you look under the internet settings you’ll also find the box’s IP address. Probably ought to make this static, as it will likely change every time it’s turned on, but anyway I scribbled the address down. On a computer on my home network I used an FTP client (FileZilla) to connect to the box, using the Humax box’s IP address, the username humaxftp and the password 0000. You can then see the Humax’s ‘My Video’, ‘My Photo’ and ‘My Music’ folders on your computer’s FTP client. The Redux .TS MPEG 2 original data stream plays but you can’t fast forward or rewind. The much smaller Redux .TS MPEG 4 file played but also wouldn’t allow skipping within the file. Amazingly, the small Redux high bit-rate h.264 MP4 version, described as ‘suitable for iPad, tablet computers, TVs’ file played, looked pretty good AND allowed navigation – fast forwarding and rewinding. This is more than I could have dreamed of! These files also play off a USB stick stuck in the back of the Humax. Apparently the Humax box encrypts recordings it makes itself, so you can’t get those off by FTP. You can copy SD (non-HD) recordings to a USB stick and take the files elsewhere, but not HD recordings. One way round this that doesn’t involve mucking around with the Humax’s firmware is to use something called Foxy. This doesn’t break the encryption itself, rather it modifies an HD recording so you can copy it back onto the Humax and the Humax box will then decrypt it when you copy it off again. Foxy is a Windows .NET application. This is a bit of arse as my main computer is an iMac. But it looks like you can run Foxy on a Mac… you need to download and install the Mono runtime for OSX. Once you’ve installed it, you need to use the OS X command line to find Foxy.exe and run it using the command mono Foxy.exe - I can’t vouch this works for sure but the Foxy window appears on my iMac desktop and seems to work as you’d expect. Following the instructions I got the Humax to allow copying of an HD recording to a USB stick, though it was very slow and an error saying there wasn’t enough disk space flashed up at the end. When I copied the .TS file to my iMac’s hard drive, the video played flawlessly in VLC and looked gorgeous, but there was a problem with the sound – rather distorted. Will try again with a shorter programme – 40 mins of PanAm in HD is 1.64 GB (ouch!). I’ve not looked into DLNA servers yet – as I have a Mac it seems to be a toss-up between Twonky and MediaLink – neither of which is free. I’m going to look at Twonky first. The Humax actually has its own DLNA server – you turn it on in the same place you turn on the FTP server. Using this I managed to watch an SD (non-HD) recording made on the Humax back on my netbook using the free XBMC media player on the laptop. This doesn’t copy the file, it streams it off the Humax onto the laptop over my wifi network. Pretty cool – means I can watch recordings back upstairs, though it doesn’t work with HD programmes. 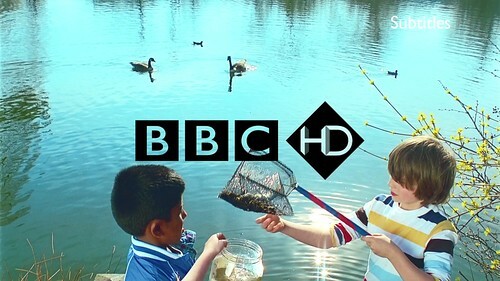 This entry was posted in BBC, internet, MacOS X, media, TV and tagged Humax, PVR, TV. Bookmark the permalink. Tnx for the tip about ftp’ing stuff from redux to the humax. I usually use ps3mediaserver and ps3 to play redux stuff on my tv. DO you know if you I could take the recordings off my old Humax box, PVR9200T, onto the HDR FOX T2. Not easily, as far as I know! I had a PVR9200T and let my old recordings go to a new home. I have followed your directions but am unable to get a stable connection. Trying to get filezilla to find my humax Foxsat , entered the DHCP IP address but cannot establish connection. Somewhat lost. Do you get any connection at all? Does it drop off after connection or do you not get that far? Hello, Here I have a Humax box, already made official payment. But I am in need to know the ethernet pot it has, is it for increasing more channels or what? As I have tried to plug into it a broadband Internet which it synchronised itself with no good result. Hi there, have you found whether you can play files directly from another networked source. I have a lot of material on a NAS DLNA media server including photos which it would be brilliant to view from the PVR without transferring files. Did you have any luck using Foxy for transferring and playing unencrypted SD and HD files on your Mac? I know you tried to do so but weren’t sure if it would present any problems when used more extensively. do you think, humax would be visible on the home network to other media players and therefore allow to play user files (ex. copied mkv or avi)? It’s well worth installing the custom firmware into the Humax HD Fox T2–streaming HD programs to VLC on my 27″ iMac is awesome. It’s also a doddle to edit the files using bookmarks to chop out bits you don’t want. And it really works properly without any bugs. Really sorry for late moderation of comments – email notifications from my own blog weren’t reaching me. They are now. Catching up! I need a web browser to browse internet like a normal PC. Is it possible to install this with firmware? thanks so much for the clear explanations on this page. Thanks to you I used ftp to transfer recorded programmes off the Humax box onto my media server pc quite painlessly. With the custom firmware installed on the HDR Fox T2, it is possible though tricky to download de-crypted HD recordings to a Mac over a network connection, via the web interface. In my case I’m using 500MB Powerline adapters. The largest file I’ve transfered so far is a whopping 5.16GB Rolling Stones gig! (BBC 1 HD recording) The download will slow down to a halt regularly, but attempting to open the file in the Safari download window, prompts the downloader to start up again. When downloaded the file can then be ‘laundered’ via Handbrake. I then use MPEG Streamclip to edit as necessary . A further run through Handbrake to re-encode for Apple TV, and I can add the file to my iTunes library. I know this may all seem very geeky and troublesome to newbies, but if you take your time, read as much as you can on the subject, and take it it small steps you can do this. And this kind of functionality blows Sky+ out of the water, as the recordings on that are locked down permanently. I was keen to get my music accessible from the humax system and duly set up ftp and downloaded it.. To find that the humax music system is a useless system with no access to playlists or any way of sorting it. So reduced to using an old laptop and a decent music player off that. I expect more grief from Her Maj about extra black boxes cluttering the lounge. Is there any way to get a proper music player onto the humax box? Many thanks for that tip – I used ffmpeg to convert some timelapses I’d done to mp4, transferred to hummy using your Filezilla method, and they play without a hitch. Respect! Update to my previous post. I’ve found that using an ftp client is much better than the download option in the custom web interface. The download will slow down over the duration of the transfer, but doesn’t stop. In my case it settles down at around 6.8 Mb/s. Mpeg Streamclip can’t cope with the HD Transport Stream files, so I have to use other means to convert those to MP4, and edit as necessary. But this is still way better access and functionality than you’ll get on any other PVR. As yet there is no CFW for the ‘newer’ Humax boxes, but as soon as there is, thats where I’ll be going. My dog has chewed the remote so it’s not working. My older Humax had a drop down front so that you could access your recordings etc but I don’t think this does. Is there a way of getting ‘inside’? not that I know of, sorry! I want to transfer some bbc programmes /files from my old humax recorder hard drive to a new humax recorder. I’ve connected the Seagate 500gb hard drive via a sata adaptor to my laptop. but only some of the videos / programme files are visible. the recorded bbc files aren’t visible? might you be able to tell me why they aren’t visible, and is there anything that I can do to change this. Hi John – do you mean they are not visible on the new Humax or not visible on your laptop? It’s ages since I did anything with my Humax other than watch recordings or copy SD programmes to a USB stick. might you know why some recordings were visible and others not? ?